Wendy shares her own honest struggles as a mother of two daughters and about her journey of becoming one. She feels it’s important to openly share about pregnancy, birth and postpartum, because she sees that many mothers can relate with real stories/people. Wendy grew up in a traditional family, studied fashion and design, but when she became pregnant nothing mattered to her; she only wanted to grow and birth her baby girl healthy. She now sees that pregnancy is one of the most transformative periods in a women’s life, if we dare to embrace it. Giving birth cracked her open. She was so incredibly proud of herself; birthing on top of the mountain where they lived in Ibiza, in water. This experience changed her life forever, while at the same time it was the most raw and intense period of her life. In this period she realized she had a mission in this life: changing the way we approach birth, so more babies can enter the world gently instead of in trauma. These babies will become the peacemakers in this world! Everything starts at birth. 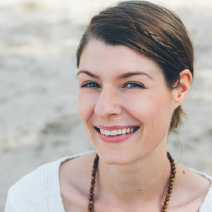 Since 4 years she has been working as a birth doula in Amsterdam and now again in Ibiza. She calls herself a ‘gentle birth warrior’ because that start in life is so crucial, it needs to be gentle. When Wendy met Asha, she instantely felt they shared a common mission with Motherheart. She feels it’s time. Time for mothers to unite, to go back to the time we hold space for each other. Living in a city – especially – can be a very lonely experience, uniting with mothers is so important. If we empower women they will be more likely to have a empowering pregnancy, birth and postpartum period. Mothers are the focus point in society, the new generations enter through them. So we better start charishing them more! Wendy tries to be a mother, but it’s not always easy. It is that very essence that is motherhood to her; being with your children. She gave birth to two beautiful daughters at home; one in Ibiza the youngest one in Amersfoort, but also feels a mother every time she ‘mothers a mother’ while she holds space as a doula for the family. Her advice in times of turmoil is to breathe, observe, take a walk in nature, in the sea or take a long warm shower. And after that meeting a sister to just feel supported, even without all the chatter. If she could tell her younger self something it would be: You are enough, more than enough. It is your light that shines on to the world, keep spreading it.